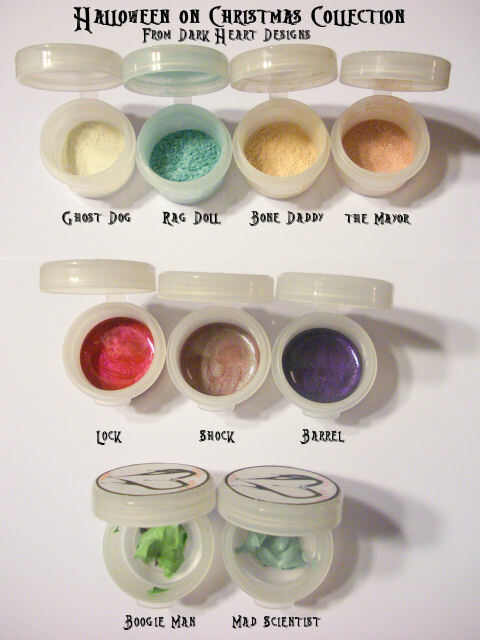 Video tutorial and review on Mon Ennui Cosmetics Pigment Potion for lips! Besame Cosmetics Lipstick and Gloss review! VIDEO!!!! 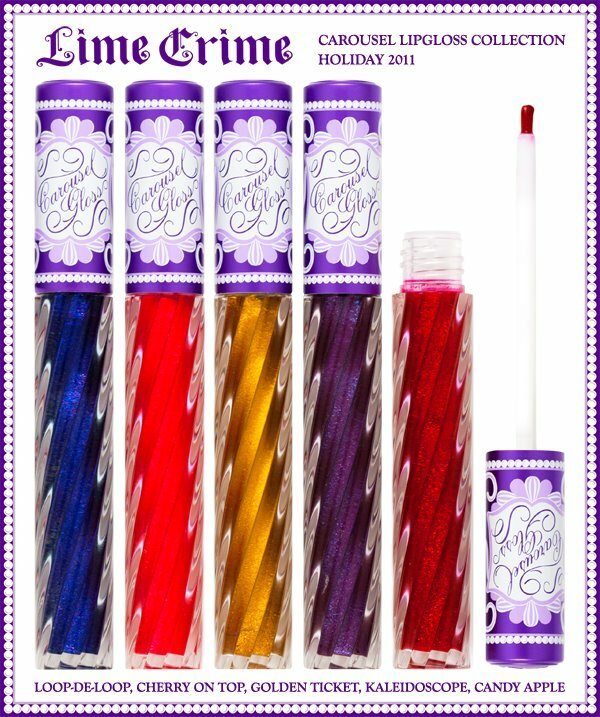 For the holidays I recieved 3 samples of Besame Cosmetics’ lipsticks as well as a full size clear gloss. I have been eyeing their stuff for a while! Besame Cosmetics is a company that recreates 1940’s & 50’s Hollywood glamour including vintage lipstick colors in stylish retro cases, Lipliners, eyeliners, brow pencils, Vintage shadows in vintage collectable cases, cream blush in vintage tins, gloss, foundation *powder and liquid*, 1930’s mascara and glosses! 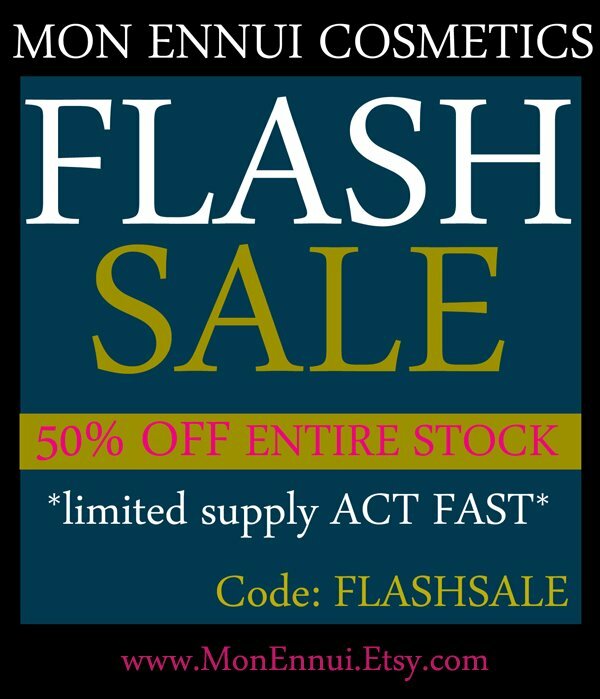 This is a unique company and I suggest it to anyone that likes pinup looks, classy cateyes, any fan of these time periods, or those looking for something sophisticated and timeless! http://youtu.be/KTXR7EPClK8 This is a link to my Video Blog on youtube. I wasn’t able to upload it here so I put it there. Anyways, I decided to do a videoblog on companies that I really liked and on the products they have! 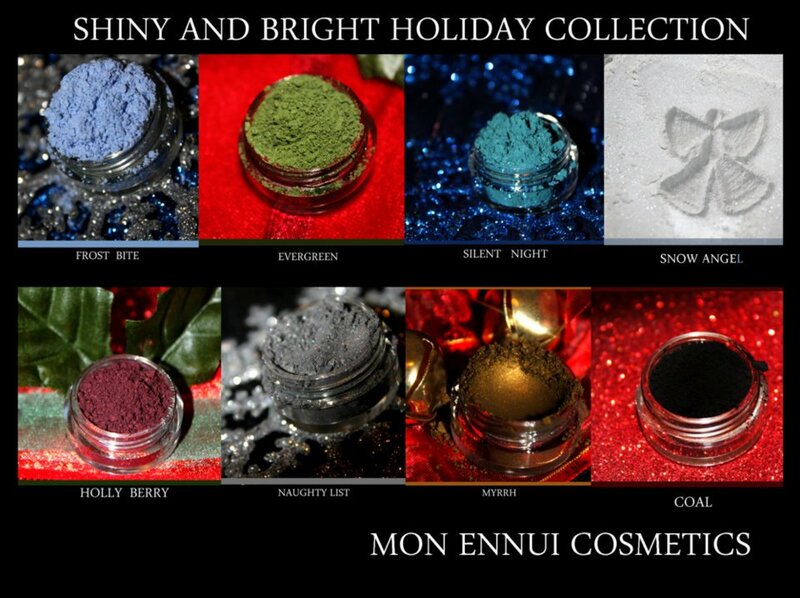 This time it is Mon Ennui Cosmetics! I plan to do some looks with the samples I received. Next up on my list is Dark Heart Designs! 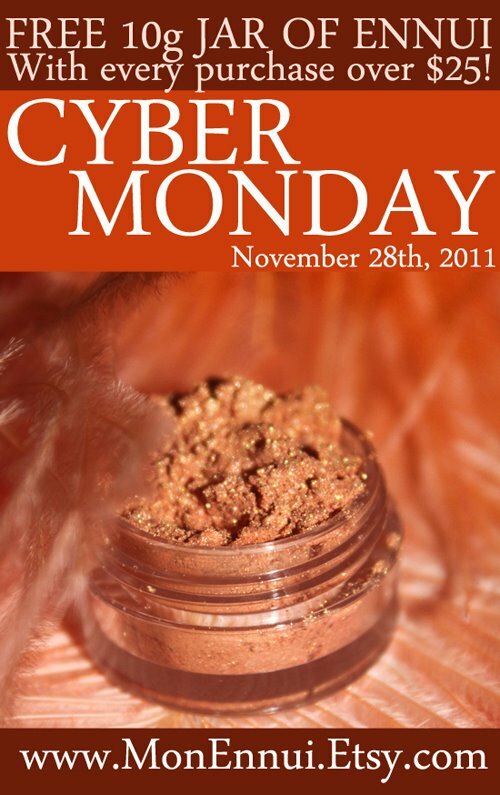 http://www.etsy.com/listing/87091062/cyber-monday-special-two-10g-jars-for <—–awesome deal by the way ! What do you guys plan on snagging on Cyber Monday?